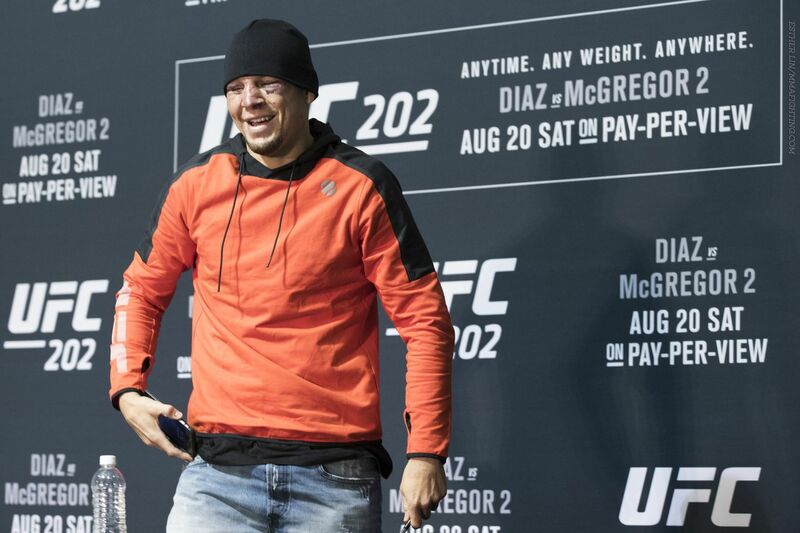 Nate Diaz will get a slap on the wrist for vaping at the UFC 202 post-fight press conference. USADA is giving Diaz a public warning for admitted use of a prohibited substance, according to a release Thursday. Diaz could be seen vaping at the press conference Aug. 20 and he said the pen contained cannabidiol (or CBD) oil. There will be no suspension or further discipline. CBD is a cannabinoid, one of 113 active cannabinoids identified in cannabis. All cannabinoids are banned in-competition by WADA. In-competition is considered the period beginning six hours before the weigh-in and six hours after the fight by the agency. After an investigation, USADA concluded that Diaz mistakenly believed the in-competition period ended after his post-fight drug test, per the release. All of Diaz’s drug tests came back clean. “Based on these circumstances, USADA determined that a public warning was an appropriate response to Diaz’s use of a specified substance during the in-competition period,” the release stated. Diaz lost in the night’s main event to Conor McGregor by majority decision. Cannabidiol has no psychoactive effects, like THC. It has fewer side effects and has been used to treat seizures and epilepsy.